We started the morning with breakfast and espresso (from our room’s Nespresso machine). Right now, we’re getting ready to leave for the ship. We’ll walk there, despite a bit of distance and having to schlep luggage, in order to see more of the city. Was hoping to read about your day in Oslo, but the previous post link is giving the dreaded 404 error. 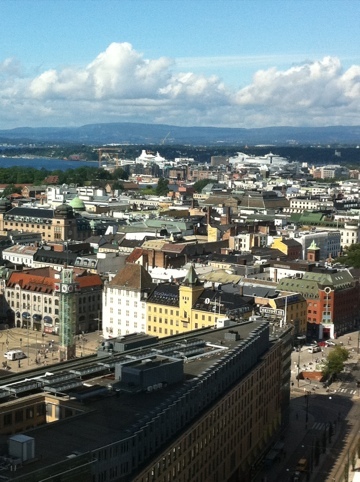 Hope you had a good time; we were there a few days ago and enjoyed our brief time in Oslo (despite the crowds). I fixed the 404 errror — problem with how WordPress creates permalinks for me sometimes. So, I have to remain vigilant or 404s happen.